On December 15th 1994, Oasis played a set at Maida Vale Studios in London for 'The Evening Session' on BBC Radio 1. They played (It's Good) To Be Free, Married With Children, Sad Song, Talk Tonight, Whatever & I Am The Walrus. It was the first time (It's Good) To Be Free and Talk Tonight were played live. 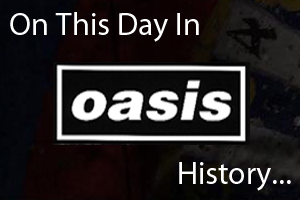 On December 15th 2008 Oasis played at The John Labatt Centre in London, Canada.